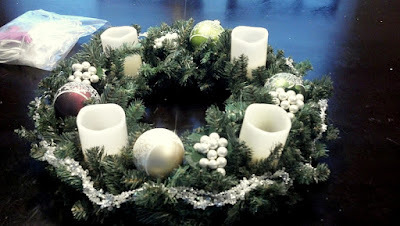 I saw this Advent wreath and just loved it! Isn't it pretty? And we all know that I have been trying to make an Advent wreath since the beginning of November. I am a semi-procrastinator...plus going into Hobby Lobby with an infant AND a toddler is super fun (unless the fabulous Rachel is there LOL). Anyhoo! Here is my Advent wreath! Before and all the supplies - I took one of the ornament boxes back. Those are battery-operated candles! :) Grandmothers, you may breathe again. All is well. Have you made an Advent wreath? 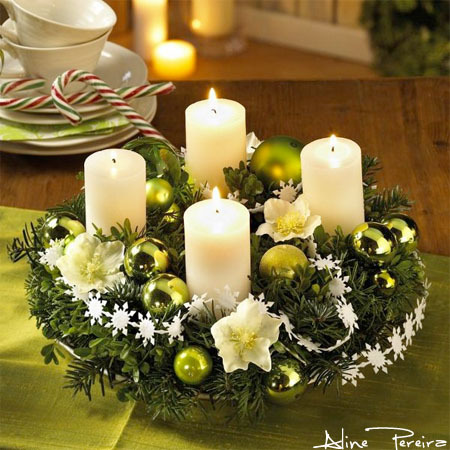 Hi Heather, your advent wreath is so pretty! I love that you made it from scratch!! Ours is a simple live wreath with the four candles, 3 purple and 1 rose colored. It's not fancy so you've inspired me! Have a Blessed Advent Season! 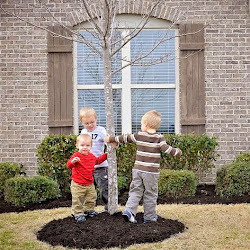 This is a beautiful idea for Advent. I really like the idea of lighting candles and your safe ones are a great option when kids are around! 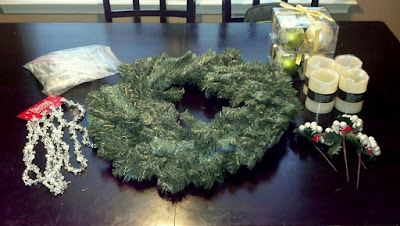 I recently posted about Advent calendars on and wreaths on my Christmas blog as part of my 12 Days of Christmas series. I would be so honoured if you could pop by and link up this beautiful post! @Shauna K - Thanks! The battery candles are a must in this house! @Natasha - Thanks! Just stopped by your blog. It is so fantastic!! Thank you! :D Headed your way! I like the battery option! the wreath looks lovely.